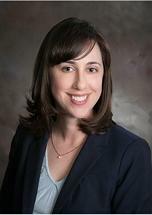 Jennifer A. DeKing is a graduate of Niagara University and Albany Law School. Her primary focus throughout her legal career has been practicing compensation law before the New York State Workers' Compensation Board. Jennifer's broad knowledge of the law stems from more than 12 years of experience in both negotiating and litigating all aspects of compensation claims. She is committed to a thorough and vigorous representation of injured workers in Western New York, making the pursuit of benefits on their behalf her priority.